Since landing in South Korea nearly two years ago, the Harrington's have done a number of exciting and adventurous things in Korea and in neighboring countries. They've enjoyed soccer games, road trips, amusement parks, Vietnamese beaches, Broadway Musicals and numerous other singular events. However, as the days of their Korean life wind down, they're relishing in the everyday moments and everyday people that have made these two years indescribably perfect and beautiful. This past weekend began with the Harrington's welcoming a slew of friends into their home for a game of Redneck Life and Cards Against Humanity while throwing back some home brews, lasagna soup and peanut butter brownies. 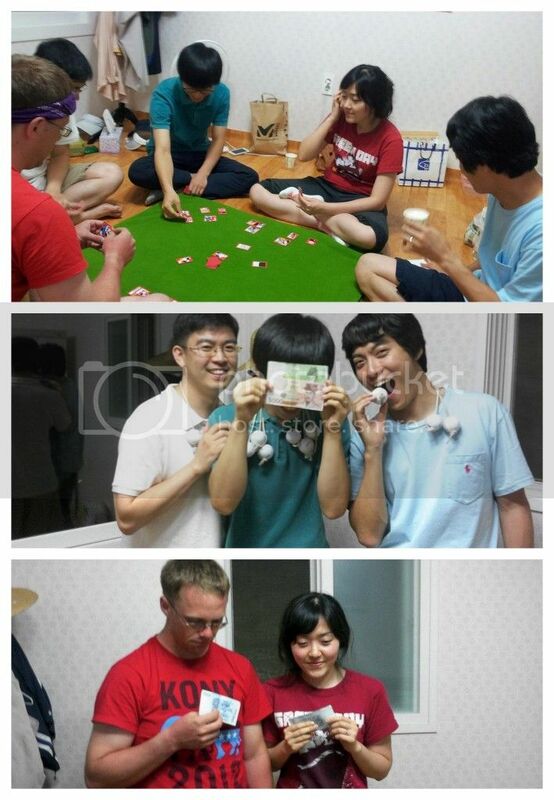 The evening included a surprise visit from Hyunhee and Hakcheol and an unplanned sleep-over (name(s) will not be given) which left the Harrington's reflecting on just how deeply they've invested themselves and been invested in over the course of two years. Saturday brought more of the everyday joys and everyday people beginning with a charity sports event which involved Mike playing a bit of footy with a group of men who have done their best to keep him slim and trim regardless of how often Melissa bakes or how often he grabs a brew from the kegerator. While Mike continued sweating and playing a bit of soccer, Melissa made her way to a nearby friends house where she was able to enjoy home-made snacks (sandwiches, chocolate muffins and fresh fruit) and coffee with a young mother and sweet friend. 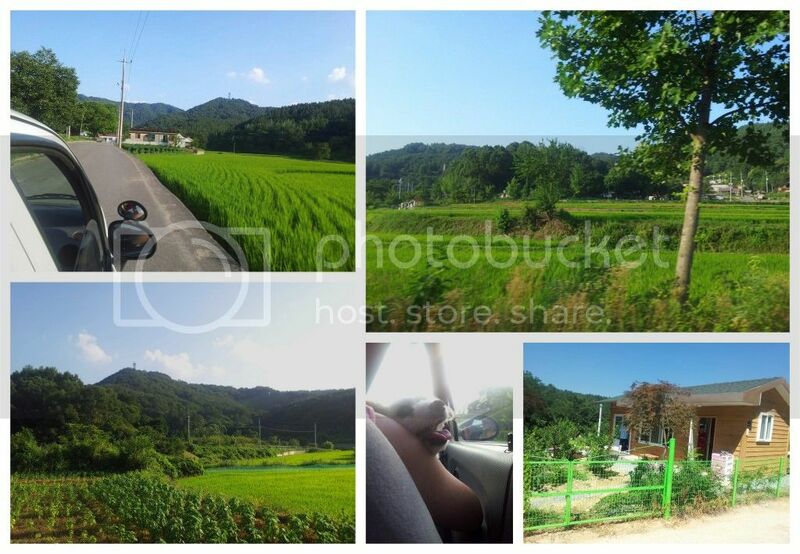 The day continued forth with the Harrington's loading up the Matiz with drinks, snacks, Lady Annyeong and their friend Aaron and heading out to Hyunhee's father's farm. Once they'd arrived in the countryside, they settled in for games of Ladder Ball, watching the Olympics and grilling sausages and pork and more than a few rounds of the Korean card game, Go-Stop. After crashing at the farm for the evening, each guest and the hosts slowly woke up. Hyunhee, Melissa and Lady Annyeong enjoyed a morning walk and together the crew enjoyed a spicy bowl of Ramen for breakfast. And these are the moments and the memories that have caused Korea to be more than just an experience or an opportunity, more than a travel destination or job location, these are the moments, the memories and the people have made Korea a home. These are the reasons that forevermore, the Harrington's will claim that their hearts beat in two places.